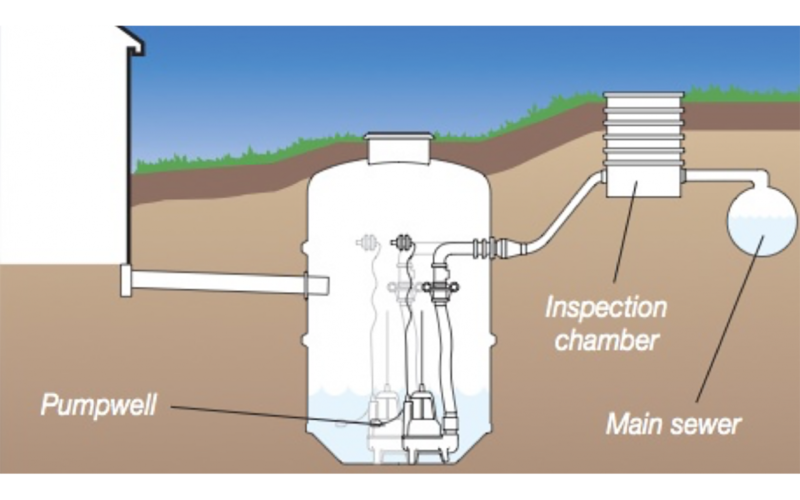 A Pump Station is installed when the mains sewer connection is higher than the sewage outlet on a property. The waste goes into the pump station and stores until a certain level when a float switch will turn the pump on and the sewage is then pumped up hill and into the mains sewer connection. By nature, all sewage pumping stations are prone to build-up of non-biological matter, including Fats, Oils and Grease. Overtime, this build-up can prevent float-switches from operating correctly and can allow foreign objects such as rags and towels to enter the pumps, blocking them and stopping them from working. Regular servicing will keep your sewage pumping station, submersible pump or associated pumping equipment working smoothly, this ensures the reliability, reduces operational costs and optimises effectiveness of your sewage / foul water pumping station.